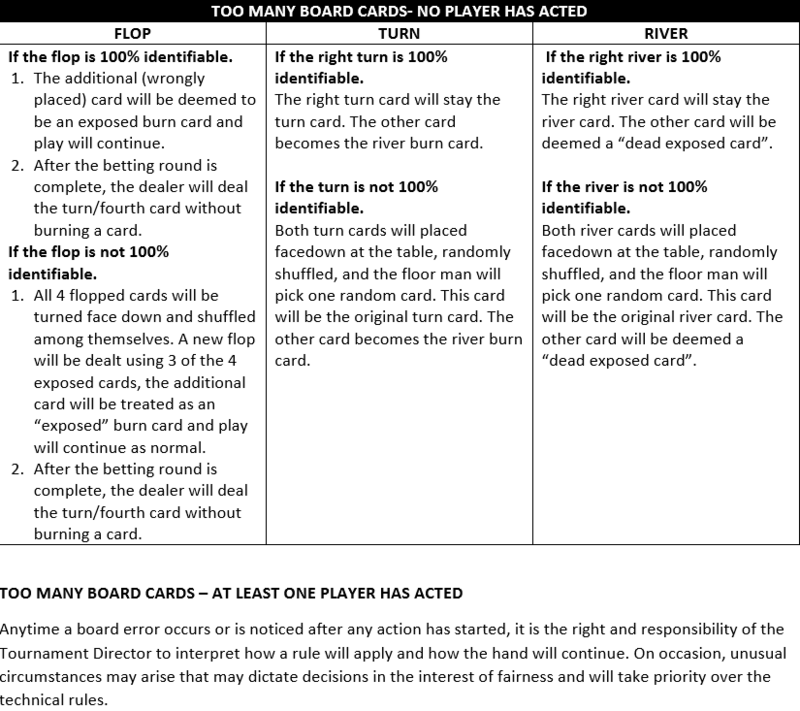 All different board errors have a standard procedure how to be solved. 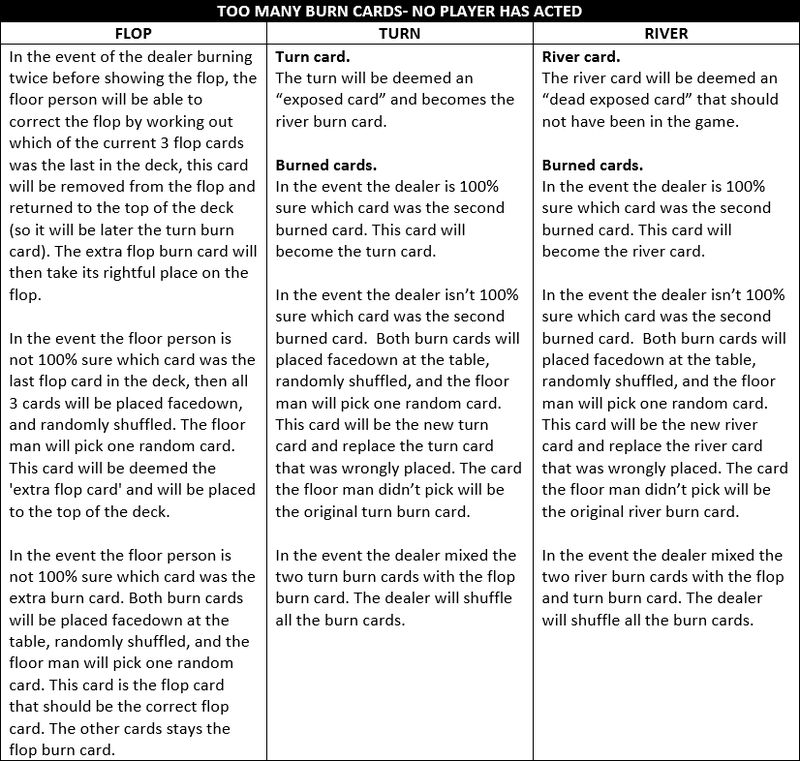 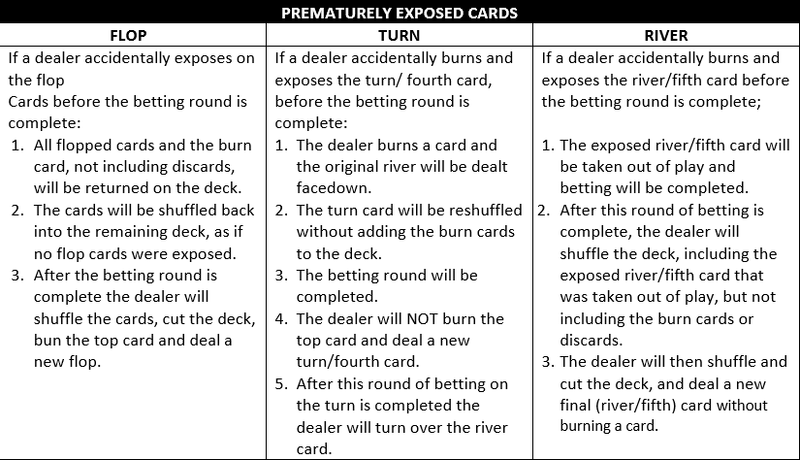 The Tournament Director should apply the following procedure for the prescribed board errors. 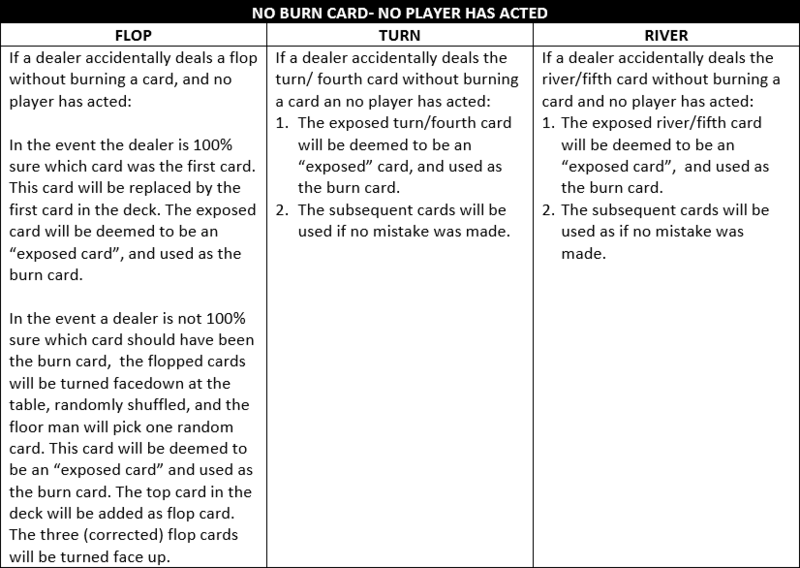 There are three different scenario’s and in every scenario there is a difference between no player has acted or a player has acted.